Chronic exposure to detrimental environmental factors may induce immunogenic cell death of structural airway cells in chronic obstructive pulmonary disease (COPD). Damage-associated molecular patterns (DAMPs) is a family of heterogeneous molecules released from injured or dead cells, which activate innate and adaptive immune responses on binding to the pattern recognition receptors on cells. This study seeks to define the content of DAMPs in the bronchoalveolar lavage fluid (BALF) and serum of COPD patients, and the possible association of these molecules with clinical disease features. Thirty COPD in advanced disease stages were enrolled into the study. Pulmonary function tests, arterial blood gas content, 6-minute walk test, and BODE index were assessed. The content of DAMPs was estimated using the commercial sandwich-ELISA kits. We found differential alterations in the content of various DAMP molecules. In the main, BALF DAMPs positively associated with age, forced expiratory volume in one second (FEV1), and residual volume (RV); and inversely with PaO2, residual volume/total lung capacity (RV/TLC) ratio, and the disease severity staging. In serum, DAMPS positively associated with the intensity of smoking and inversely with age, PaO2, and TLC. In conclusion, DAMPs are present in both BALF and serum of COPD patients, which points to enhanced both local in the lung environment as well as systemic pro-inflammatory vein in this disease. These molecules appear involved with the lung damage and clinical variables featuring COPD. However, since the involvement of various DAMPs in COPD is variable, the exact role they play is by far unsettled and is open to further exploration. The project received financial support from the Polish National Science Center (N N402 598040, granted to HBG). 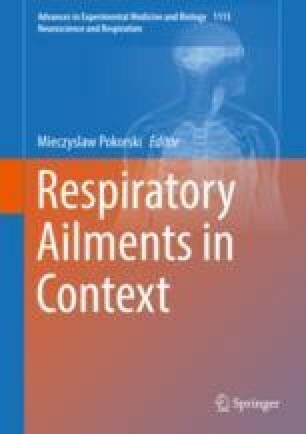 The authors would like to thank the patients for agreeing to participate in the study and Ms. Magdalena Lewandowska for statistical analysis.